Drain cleaning can help to prevent or fix a wide range of different issues with your drains and your plumbing system, and if you notice that you have slow drains or if your drains have completely stopped working, you may need a drain cleaning in Philadelphia to solve the problem. Drain cleaning using the latest technology and tools can get your plumbing system back up and running again in as short of a time as possible, and it can also prevent future problems from occurring. If you notice that your drains are starting to slow down, or if you see water backing up in your toilet or sink, you may need a drain inspection. Also if you notice gurgling noises coming from your toilets or your drains, you may need an inspection. Gurgling noises or a slow drain are both signs that it is starting to clog up but hasn’t completely clogged. An inspection is significantly less in cost than a drain cleaning in Philadelphia, and it can catch exactly what is wrong with your drain in a short period of time. 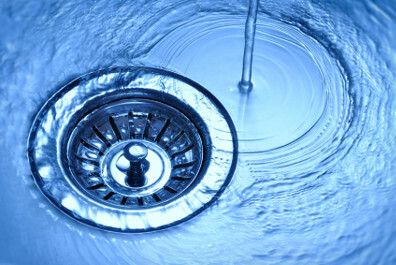 It’s always a good idea to catch an issue with your drain sooner rather than later. When you catch a problem with your drain before it becomes completely clogged, it will usually be more affordable to fix. Your drain repair will also usually be a lot faster. A total clog of your drain may lead to drain damage requiring a sewer pipe replacement or another fix that you weren’t anticipating, and that can add a substantial cost to your repair. It’s best to take care of the issue as soon as you can. If you end up seeing some of the above mentioned warning signs, and you decide that you need a drain cleaning, be sure that you contact a company that uses modern equipment. The type of equipment used for your drain cleaning in Philadelphia will make a major difference in how quickly your drain is cleaned along with how effectively it’s cleaned. The Trenchless Team has the modern equipment needed to take care of any drain problem that you may have at all. Contact The Trenchless Team today at (844) 311-4106 for more information about drain cleaning in your area.